Doc Daye is finally here in this tasty tidbit, likely chapter one of an on-going story. (Fingers crossed!) To say that the death of a wealthy man in Doc Daye’s building Daye Tower in Sovereign City is macabre is an understatement! Doc’s front man Tommy Pariah and his “secretary” Malcolm “Peaches” McCoy are both ready to spring into action. This is something I recommend to people reading Doc Daye for the first time. It will enhance the reading pleasure. 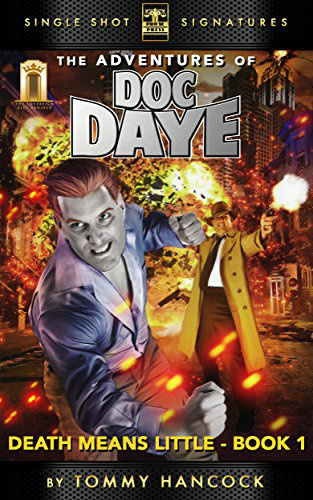 I will give this short foray into Doc Daye’s adventures five stars in anticipation of more to come. Don’t let me down Tommy!